Need two separate living spaces and room for animals? 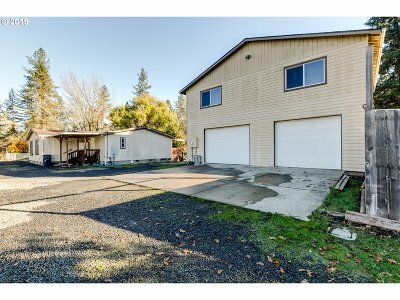 Check this property out! Main home is a 2009 Karsten manufactured home, 4 bedroom/2 bathrooms. 2 car detached garage with a 1152 sq ft apartment, 1 bedroom/1 bathroom. Barn with 2 horse stalls. Property is fully fenced. Main home features family and living rooms with an open kitchen and lots of storage. Large covered deck off of living room. Property not in flood zone.